Notecards featuring a selection of Bervinchak art images are available for sale. There are two different packages of 5x7 cards with envelopes. 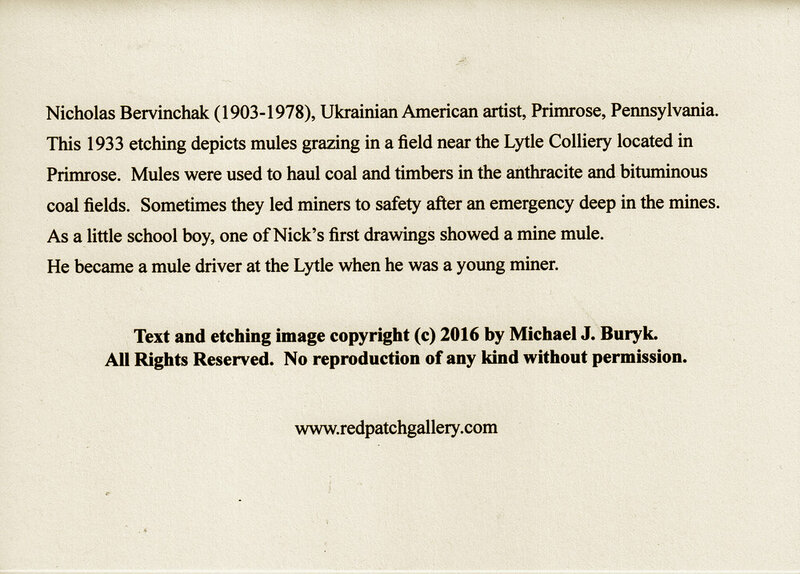 Package #1 includes these images: Mine Mules; Toiling Miners; The Gossipers; and, Anthracite's Breast Work. Package #2 includes these images: St. Nicholas Breaker; The Weary Miner; The Blacksmith; and, Potato Planters Ukraine. There is text on the back of each card describing the art image and its context. Each set is US$12.00, or two sets for US$20. The cost of shipping and handling is additional. Please contact me directly to place your order at: michael.buryk@verizon.net.